This has been one of the warmest (and smokiest) Vancouver summers that I can remember which means it’s the best time to indulge in some Discovery Channel Shark Week. Personally, I think that Shark Week should be a national holiday because who doesn’t enjoy scaring themselves with Great Whites terrorizing the waters? Sharks are my worst fear (feel free to ask about watching Jaws when I was 10 and we were in Hawaii. I couldn’t set foot in the water) yet I can’t help myself when it comes to watching Shark Week. So in honour of the greatest week of TV ever, I have researched Shark apps and decided upon two favourites, so you don’t have to make such tough choices. This app was so much better than I expected it to be! My favorite part of this app was picking a shark and following him or her as they swim around. It sounds so silly but you get really invested in your shark (oh wait, just me? Ok, cool). 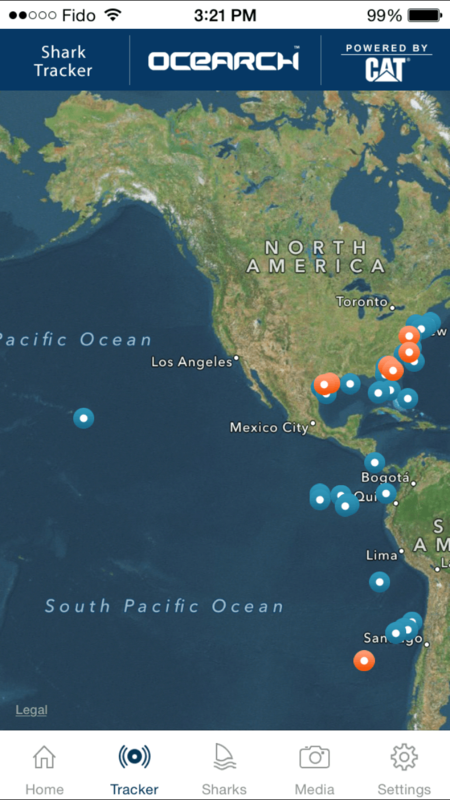 Using satellite tracking technology, sharks with trackers are ranked on the app by how recently they have surfaced. 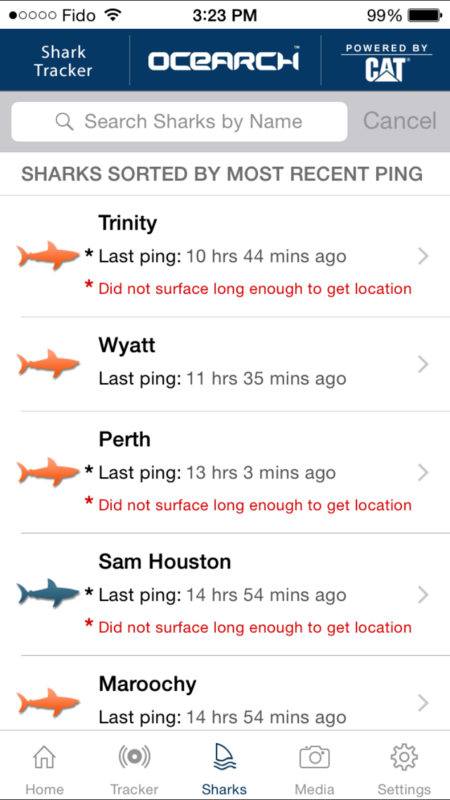 I chose a Great White named Einstein to track and he’s been pretty active around the coast of Texas and Mexico. The app has some really great features that include social media connections like Facebook, Instagram and Twitter so I can let everyone know what Einstein is up to (sorry to my friends that are subjected to Einstein updates). He comes pretty close to the beach so hopefully he doesn’t eat anyone. 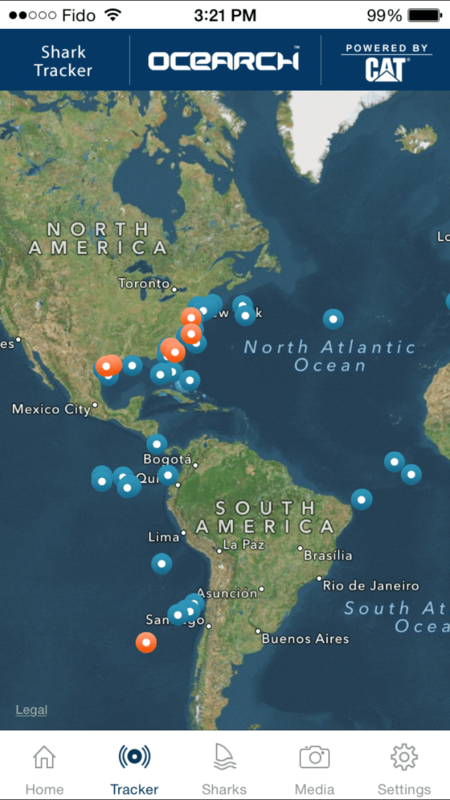 Another cool feature of the Shark Tracker app is that you can donate to shark preservation and preserve the glory of Shark Week for future generations. There are lots of sharks that are endangered and donating to the OCEARCH non-profit on the app is a really easy way to give back. This app was logical and easy to use and it’s available for Android and iOS. While you’re watching Shark Week, make sure you keep updated on your favourite shark! Sharknado was a cultural phenomenon when it was released in 2013 because it was just as ridiculous as its name. With washed up 90’s and 00’s stars like Tara Reid and Ian Ziering, this TV movie was guaranteed to be a smash hit. It has since spawned two sequels, so a mobile game was the logical next step. The premise of the game is that you (appropriately named Fin) have to save New York City from the flying sharks using select weapons. It’s pretty fun to run down the street with a tornado of sharks and beat them off with a baseball bat. However, since I don’t take naturally to games, I did run head first into the shark more times than I want to admit (oh the shame, the shame that is my life). The best part of the Sharknado franchise is how it embraces its campiness. For example, as you level up in the game, you’re able to ride a surfboard into the tornado and use a chainsaw to kill the sharks. Yes, it is as fantastic as it sounds. I’m not a gaming expert but overall the Sharknado game was fun; it kept my attention, and was relatively easy to learn. The structure and navigation weren’t exceptionally clear because I had no instructions for how to play the game, I just messed around and learned as I ran into shark’s mouths. The visual aspect of the game was something I really enjoyed because it was relevant and appropriate. The interactivity was not too high since there were no social media links or anything to connect me outside of the game. It’s probably for the best though so people don’t know I played Sharknado the game… My overall experience was positive because it was challenging and fun- I had a blast playing the Sharknado mobile game. It’s less shameful during Shark Week so make sure you check it out! Enjoy Shark Week even more by downloading these awesome mobile apps!